Jeff Bezos is a billionaire who founded internet retail giant Amazon. He also owns a newspaper, The Washington Post, as well as space company Blue Origin. Who is Jeff Bezos, how old is he, when is his birthday, how tall is he, where is he from and what is his background? Jeff Bezos is the billionaire founder of Amazon, the largest online retailer in the world. He was born in Albuquerque in the USA on January 12, 1964. He is 55 years old and stands at 1.7 metres tall. Bezos was born Jeffrey Preston Jorgensen, to teenage mother Jacklyn and Ted Jorgensen. Jacklyn was still at high school when Bezos was born and her marriage only lasted for around a year. His mother remarried when he was four and Jeff took his stepfather’s surname. He was an excellent student and was a high school valedictorian before graduating from Princeton with a degree in computer science and electrical engineering. He was working for a hedge fund looking at business opportunities using the internet when he had the idea for Amazon. Why is Jeff Bezos famous and what is his occupation? Jeff Bezos is the founder of Amazon, the largest online retailer in the world. He also owns The Washington Post and Blue Origin, a company seeking to commercialise space travel. Jeff Bezos is the world’s richest person. He has a net worth of close to $100billion. How much does Jeff Bezos earn? Jeff Bezos is not the highest paid member of staff at Amazon. In 2016 he took a salary of $81,840 as well as $1.6million worth of shares in the company. The highest paid member of staff was Andrew Jassy who earned a salary of $187,000 plus over $35million in shares in 2016. Instead, Jeff Bezos’ wealth comes from his shares. According to a Forbes article in 2016, Bezos owns just over 17% of Amazon shares. As a result his wealth fluctuates in line with Amazon’s share price. He reportedly made $6billion in one day in April 2016 when the Amazon share price rose dramatically. How much does Jeff Bezos weigh? Jeff Bezos weighs a reported 135 lbs or 61kg. What did Jeff Bezos invent, why did Amazon become so popular, how did he create it, when did he start Amazon, how did he think of the name, how many shares of Amazon does he own? While working at a hedge fund investigating online opportunities, Bezos became determined not to miss out on the internet boom. 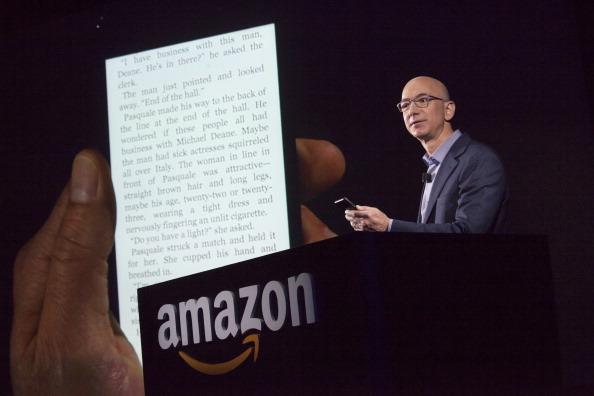 Bezos started Amazon in 1994 and it was initially an online book retailer. He chose the name after leafing through a dictionary and settled on Amazon as it represented somewhere exotic and different. The company was initially based in the Seattle garage of his parents’ home but within two months the company was shipping books with a value of $20,000 a week. Amazon has since diversified into videos, consumer goods and they also produce their own brand of consumer electronics. Amazon are also the biggest provider of cloud computing power in the world. Bezos still owns 17% of the shares in the company. Where did Jeff Bezos go to college and high school? Jeff Bezos went to Miami Palmetto High School before going on to university at Princeton. 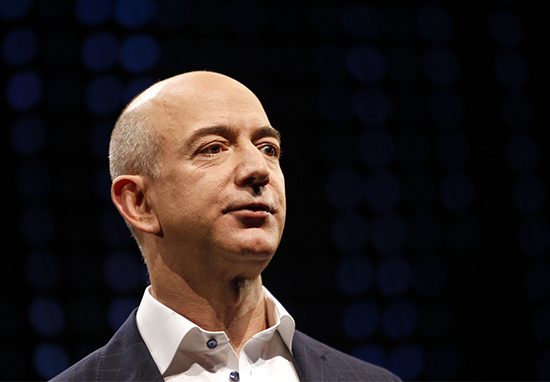 What is Jeff Bezos’ leadership style? Bezos has often been described as a micromanager. He likes to be informed of all decisions taken by the company. 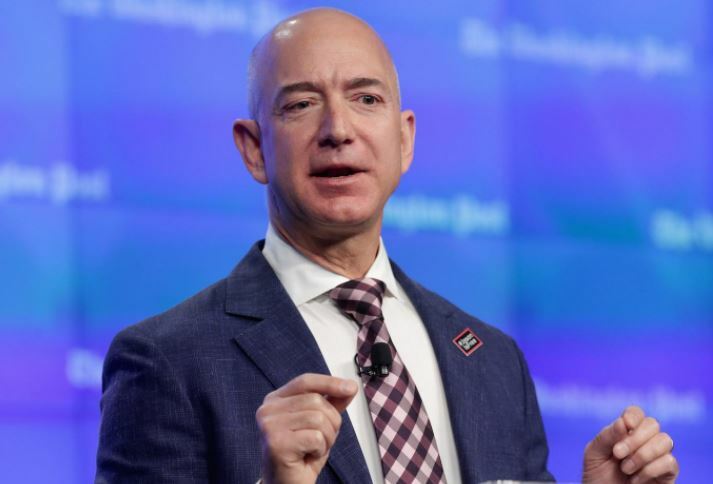 He rejects criticism of Amazon as a company that overworks its employees. Are Jeff Bezos and Elon Musk friends? Elon Musk and Jeff Bezos are not friends. They have had a high profile rivalry on Twitter about the strengths of their competing space exploration companies. Elon Musk is the founder of SpaceX and Bezos owns Blue Origin. Both men are attempting to be the first to commercialise space travel and develop reusable rockets. Is Jeff Bezos married, who has he dated in the past, was he married? Bezos married his ex-wife MacKenzie in 1993. They have four children, three biological sons and a daughter, who was adopted from China. The pair disolved their marriage in April 2019, leaving her with $35.6 billion in Amazon stock, according to CNBC.